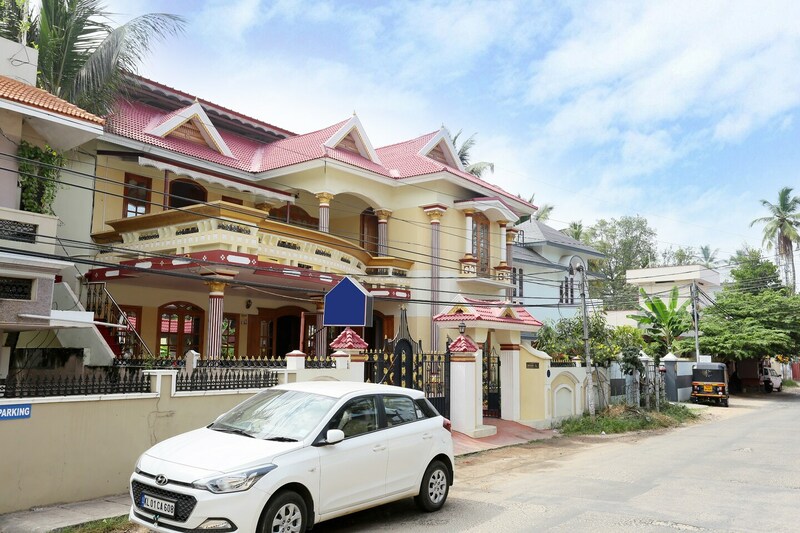 A few minutes drive from the Trivandrum International Airport takes you to OYO 26153 Home Exotic 3BHK that promises to give your trip a beautiful start. Red-tiled roofs, spacious portico and a sprawling balcony set the tone for a truly exotic homestay in the capital city of Gods Own Country. The doors open wide and lead to a vast drawing room that represents a traditional style of architecture. Ornate archways and timbered upholstery give the house a quintessential feel. The bright and airy rooms are modestly decorated with colourful drapes. The wooden cabinets also provide adequate storage spaces. The property features a sizeable kitchen that is well-equipped to provide you with the comfort of cooking in your home. The refrigerator takes care of the surplus of your wholesome meal. Power backup facilities and security cameras keep your worries at bay while you enjoy your time at Home Exotic 3BHK Trivandrum.